Winter is fast arriving; with the change of weather, the common cold blows in. A cold is a viral infection and cannot be cured with prescription medicine. Cold symptoms include clear runny nose, often with progressively thickening nose mucus, mild fussiness, and picky eating. How do you prevent a cold? You don’t. There is no way to keep your baby from getting a cold, if she is exposed to a virus that causes the cold. There are a few basic tips to reduce the chances of viral illness. Good hand washing – The number one way to help prevent the spread of viruses is keeping your hands washed. If a family member who lives in the house has a cold, ensure they wash their hands well and don’t kiss the baby on the face. Breastfeeding – Breastfeeding nourishes your baby, and provides antibodies to help build the immune system. If you have a cold and are not prescribed any medicines that may harm the baby while breastfeeding, continue breastfeeding through your illness. Your natural immunity will help your baby heal faster. 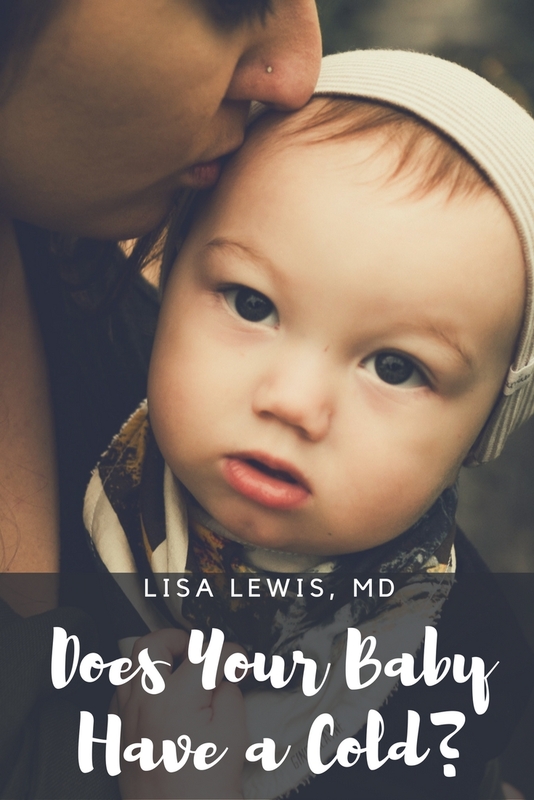 Stay out of public places the first two months of life – Newborn babies have fragile immune systems, and are particularly vulnerable to illness. Take your sweetie out for fresh air, but don’t expose him to crowds in the first couple of months. Keep your baby away from sick children and adults. 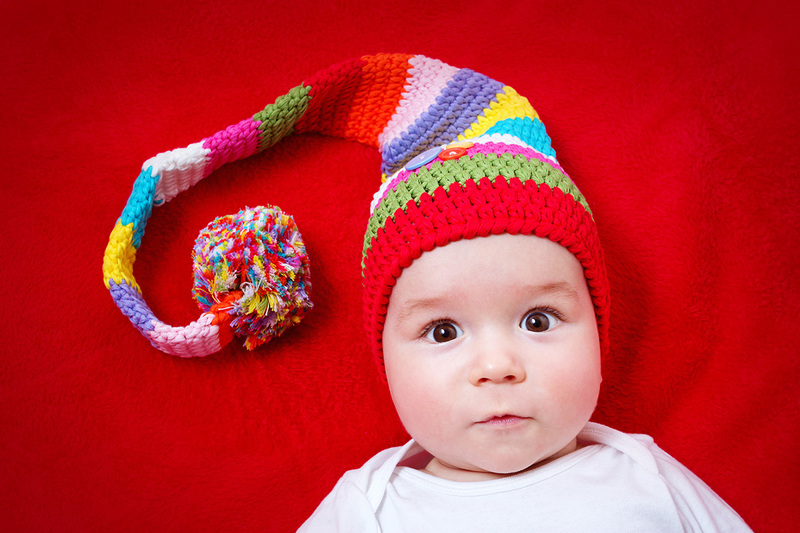 Is your new baby exhibiting cold symptoms? The first and most important tip is to have him checked by your doctor. If your baby is diagnosed with a cold, here are some guidelines to help you treat his symptoms. Saline nose drops – If your baby has a cold, with your doctor’s consent, you may use saline nose drops. These drops will help loosen the congestion in the nose. Put two drops in each nasal passage, and use every 4 hours as needed for congestion. Elevate the head of the bed – A baby with congestion lying flat on a mattress is usually not very comfortable. The goal for your baby’s head elevation is 30 to 45 degrees. This is just about the angle of the car seat. If your baby is in a bassinet or co-sleeper, you may use the adjustable incline. A book under a flat baby mattress to elevate the head of the bed also works nicely. Ensure your baby’s head is resting comfortably and not slumped forward. Suctioning the nose – A bulb suction syringe to suction any mucus from your baby’s nose is a helpful tool to own. They are available at most major outlets and pharmacies, and many hospitals send one home with new parents. Only suction the mucus in the parts of the nose you can see. Do not blindly try to suction the nose. Humidity – A cool mist humidifier in the baby’s room helps thin out the nasal secretions. Small babies’ air passages are not yet ready for any type of menthol products, so hold off on the Vick’s for now. Warm bath – Soothing for fussiness and a baby’s aching body, a warm bath can help loosen the secretions in the nose. After the bath is complete, gently remove any excess mucus from the nose with a warm washcloth. Frequent feeding – Babies with colds may need more frequent feeding because their nasal congestion slows down their eating patterns. Feeding frequently also ensures the baby does not become dehydrated. Babies with colds may run a fever. Indications that you should call your doctor immediately include breathing difficulty, high fever, lethargy, poor feeding, not urinating, and extreme fussiness. Any fever over 100.4F in a baby younger than two months of age is a signal for you to seek urgent evaluation and care immediately.